On Saturday, armed militants opened fire at a military parade, leaving at least 28 people dead and injuring another 60, according to media reports. The Saudi-linked Patriotic Arab Democratic Movement in Ahvaz has reportedly claimed responsibility for the attack. Previously, both Daesh* and the Patriotic Arab Democratic Movement in Ahvaz claimed responsibility for a deadly attack in Iran, carried out by four gunmen during a military parade. 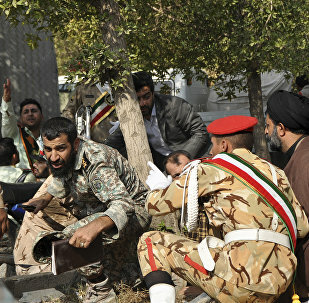 Following the deadly attack in the Iranian city of Ahvaz on Saturday morning, which killed 25 and wounded 53 during a parade commemorating the 38th anniversary of the beginning of the Iran-Iraq War, terrorist group al-Ahvaziya, which is registered in the Netherlands but has ties to Saudi Arabia, claimed responsibility for the attack. MOSCOW (Sputnik) - Iranian President Hassan Rouhani on Tuesday harshly criticized US Ambassador to the United Nations Nikki Haley’s remark on the terrorist attack in Ahvaz. Iranian President Hassan Rouhani said that the US is a bully that wants to create insecurity in Iran. 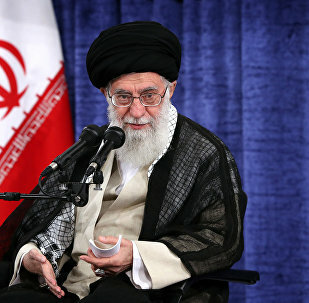 Earlier, the leaders of Iran said that foreign states were behind an attack on a military parade in the city of Ahvaz, which left 25 people dead, including members of the Islamic Revolutionary Guards. 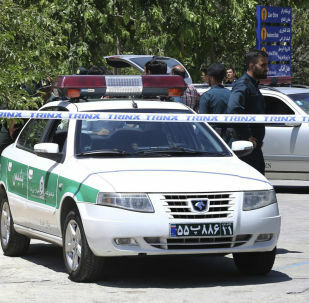 Hossein Salami, a deputy head of Iran's elite Islamic Revolutionary Guards Corps has commented on the attack on a military parade in southern Iran on Saturday, which claimed the lives of 25 people, including 12 members of the IRGC, and left 53 injured. Nikki Haley, the US ambassador to the United Nations, asserted that Tehran is responsible for violent unrest within its borders, as well as across the Middle East. According to a statement published on the ministry's official website, the UAE envoy was harshly criticized for the statement of Abdulkhaleq Abdulla, former adviser to Abu Dhabi Crown Prince Mohammed bin Zayed al Nahyan and political expert. WASHINGTON (Sputnik) – The United States supports the Iranian people in their fight against radical Islamic terrorism and condemns all terrorist acts, US State Department spokesperson Heather Nauert told Sputnik on Saturday after the terrorist attack in the southwestern Iranian city of Ahvaz. Iran has summoned ambassadors of the United Kingdom, Netherlands and Denmark over the recent terrorist attack on military parade in the Iranian city of Ahvaz, local media reported. MOSCOW (Sputnik) - Iranian Armed Forces spokesman, Brig. Gen. Abolfazl Shekarchi, told IRNA that the militants who had committed a terrorist attack on a military parade in the Iranian city of Ahvaz on Saturday were linked to the United States and Israel. According to Reuters, Daesh has claimed responsibility for a terrorist attack at a military parade in Iran that left 24 people dead and 54 injured.